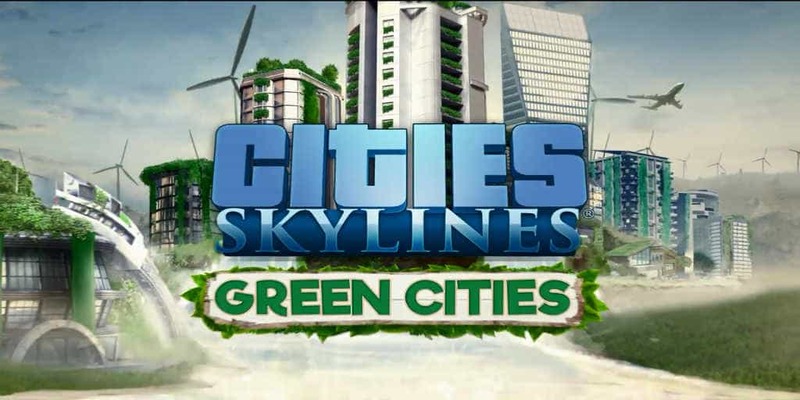 Cities: Skylines Releases The Green Cities Expansion in October | Nerd Much? The previously announced The Green Cities expansion for Cities: Skylines now has a firm release date. And it’s only a few weeks from now that our cities can begin getting their acts together. The update to the city-building title poses a solution to an issue many a creator is likely to have faced: pollution. There’s endless ways to contribute to the filthiness of your city as you attempt to expand it into a bloated megalopolis. However, means of counteracting those polluting factors were slim to none. That is until The Green Cities hits. With Cities: Skylines The Green Cities expansion, the game will implement 350 new items to the main game. Amongst them are over 200 buildings, 100 new assets, and new specialization options. Paradox Interactive, publishers of the game, are promising a ton of new toys to play with. Eco-friendly buildings, new parks and services options, and organic store types are now at your disposal. As are the new specialization options for different zones. Like the ability to ban combustion engines in the inner city. Or implementing waste filtering requirements for your industrial buildings. You can also manage the in-game noise and ground pollution. And while The Green Cities expansion will run players $12.99 to purchase, there will be free content included at its release as well. Players who don’t wish to shell out any cash at the time can still expect to see electric cars, road modding, an overhaul to noise pollution, and décor options (parks, tree, etc.) added to the base game. Cities: Skylines was a beloved title for the city building genre. So it’s great to see that Colossal Order and Paradox Interactive are still bringing fresh content to its users two and a half years after its initial release. The Green Cities drops October 19th for PC, MacOS and Linux. No word on whether the new features will be headed to consoles.